If you have a scope that takes the 0.965 inch Japanese standard eyepieces, than this is for you. Fits 0.965” focusers, and your 0.965” eyepieces. Doubles the power of each of your eyepieces. 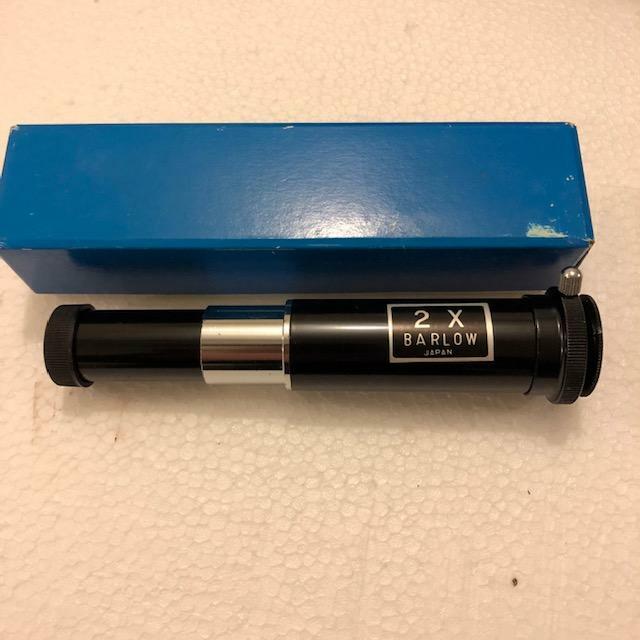 These were made in Japan years ago and well constructed with a metal barrel, end caps, thumb screw to secure your eyepiece, and are unused in the original box.